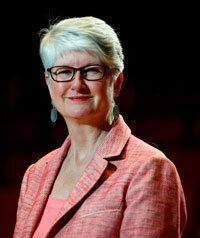 Caryl Clark is Professor of Music History and Culture at the University of Toronto and Fellow of Trinity College. She studied music history at Western, McGill and Cornell, and earned diplomas in piano performance and pedagogy from The Guildhall School of Music and Drama and the Royal College of Music in London. Her research and teaching interests include Enlightenment aesthetics, gender and ethnicity in opera, the politics of musical reception, Haydn studies, piano cultures, and music historiography. Author of Haydn’s Jews: Representation and Reception on the Operatic Stage (2009) and commissioning editor for the Cambridge Companion to Haydn (2005), her current research projects include Haydn, Orpheus and the French Revolution and coediting the Cambridge Haydn Encyclopedia. Since receiving a SSHRC post-doctoral fellowship in 1991, Clark has held four SSHRC grants on eighteenth-century music topics, and a Halbert Foundation Grant with The Hebrew University in Jerusalem investigating the Jewish Diaspora in music, theatre and culture. Her current project explores Haydn's interactions with musical, theatrical, political and visual culture in 1790s London in relation to British anxieties about the revolution in France. Clark is an active member of the American Musicological Society, having served on the Council, the Einstein Prize Committee, the Program Committee (Chair 2011), and the Publication Committee (Chair 2016-18). As co-chair of The Opera Exchange, a partnership between the Canadian Opera Company and The Munk School of Global Affairs, she has co-organized over 40 educational symposia probing opera from multidisciplinary perspectives—including “Hearing Louis Riel” for C150. 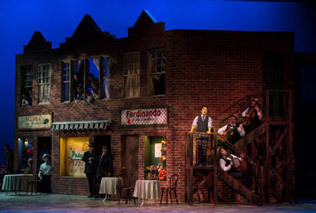 Related publications include four special opera issues of the University of Toronto Quarterly, and a collaborative article on Menotti and McLuhan for the College Music Symposium. She is also cross-appointed to several graduate departments, including The Centre for Drama, Theatre and Performance Studies.